In “American Evangelical Support for Donald Trump: Mostly American, and Only Sort-of ‘Evangelical’,” John G. Stackhouse, Jr. (Ph.D. ’87), responds to David Barr’s (University of Chicago) essay featured in this month’s issue of the Forum, “Evangelical Support for Trump as a Moral Project: Description and Critique.” The rise of Donald J. Trump to the presidency has caused a crisis of misunderstanding in American politics. From the perspective of his critics, his ethos, rhetoric, and politics are so self-evidently evil, they cannot imagine how anyone could support him from anything other than depravity or ignorance. Barr’s essay makes the case that there is a deeper meaning beyond this apparently obvious one, and realistic political analysis requires that we recognize it. Barr argues that many American evangelical Christians support President Trump as an expression of a positive moral vision for American government and society. There’s a lot to like in both David Barr’s and Benjamin Lynerd’s analyses of evangelical support for Donald Trump in this scholarly roundtable. To this longtime observer and sometime participant in American evangelicalism, most of what they say rings true. I suggest, however, that what they’re focusing on is a lot more American than it is evangelical. Their central contention is crucial—that American evangelicals have supported Trump because they see him as a tribune of their interests, and particularly as an “equalizer” who can help them regain status and power after decades of “cultural displacement.” Let us call to the stand two very different witnesses: Tony Perkins of the Family Research Council and George M. Marsden of the University of Notre Dame. “American evangelicals…had until very recently been socially dominant. Although many evangelicals were not themselves influential, they identified with a group that could claim notable success in shaping education and professed values in America…. For this group, until recently identified with dominant cultural influences, the experience of displacement was especially traumatic” (223). Here, of course, we pause to make the observation that every careful observer of “evangelicalism” makes in such a discussion: We’re talking about white people here. Black evangelicals, Latinx evangelicals, and Asian evangelicals have never been allowed to help govern what Martin E. Marty called the “Righteous Empire” of American life. Not surprisingly, then, they are generally not notable for their support of Donald Trump, although Arlene Sánchez-Walsh helpfully complicates this picture in her forthcoming contribution to this conversation. So how much of evangelical support—that is to say, white evangelical support—for Trump is to be explained via evangelicalism as a distinctive type of Protestant piety, as something to do with evangelicalism per se, and how much, instead, in terms of the historical contingencies of white evangelical Americans’ status concerns? Barr and Lynerd commendably seek to explain white evangelical support for Trump in categories other than his supporters’ “stupidity” or “wickedness.” Now, let’s not discount stupidity and wickedness, which, singly and especially together, go a long way in explaining evangelical behavior, as they do human behavior in general. One considers the crowd of evangelical leaders around Trump and particularly the lengths to which they are prepared to go theologically to defend him, most notoriously Jerry Falwell, Jr., heir to his father’s campaign to retake cultural power on behalf of a moral majority. And one notices that their contorted attempts to exonerate Trump, with Biblical exegesis so bad as to furnish fodder for late-night-television comedians, have cost not one of them his or her job. Still, Barr and Lynerd hope to do better than to settle for demonizing their political and cultural opponents (as white evangelical supporters of Trump seem to be). And they invoke Reinhold Niebuhr in their cause. Here’s where we return, however, to the Americanness of Trump supporters and not so much their evangelicalism. Niebuhr, after all, trained most of his fire not on evangelicals, but on his fellow liberals. It was liberals, Niebuhr most often said, who had wrapped the flag around the cross, liberals who had conflated their social programs with the Kingdom of God in America, and liberals who had sold their Christian authenticity for cultural authority. Indeed, Niebuhr’s major beef with the one evangelical he did notice, Billy Graham, was precisely Graham’s coziness with one president after another and the ease with which he preached American anti-communism alongside that old-time religion. How quickly—how conveniently?—have certain commentators forgotten the main target of Niebuhr’s critiques. As a Canadian who has a nodding acquaintance with American religious history (I was trained by Mark Noll, Jerald Brauer, and Martin Marty), I can’t help but think of the unbroken line that stretches from John Winthrop inspiring the Massachusetts Bay Colony with messianic phrases about cities on hills to the Monroe Doctrine, Manifest Destiny (which very much threatened, and thus helped prompt, the birth of my own country), “making the world safe for democracy,” and “paying any price” to further what America thinks is the world’s best interests (= America’s interests). 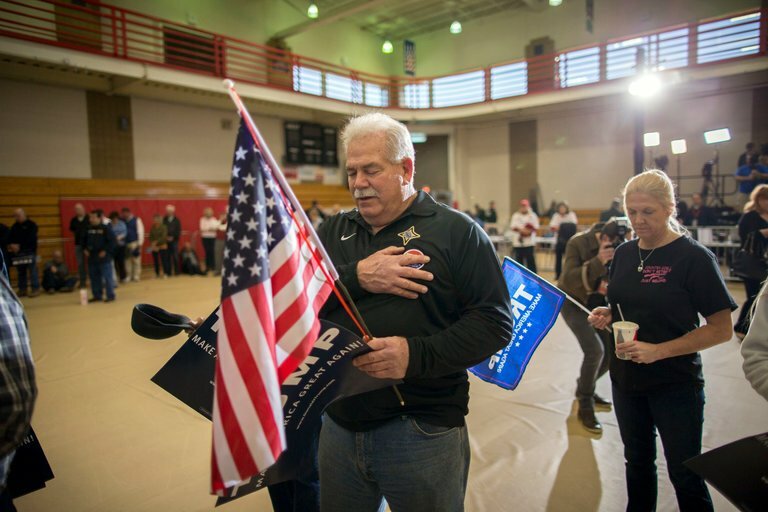 It is typical not just of white American evangelicals, therefore, but of white American Christians in general to entwine Christianity with nationalism, and the glory of God with Old Glory. So while white evangelicals, yes, have pursued their moral vision as an amalgam of Christian and American values, so have white Christians of virtually every other stripe as well, from Episcopalians to Mormons. Given that Trump’s opponent in the general election was a darling of the cultural elites, a member of a generally liberal denomination, and a supporter of Planned Parenthood, is it startling that most white evangelicals lined up behind him? Let’s remember that the other large band of white Christians whose church vehemently opposes abortion and who have endured their own checkered history of access to American cultural status, Roman Catholics, also largely sided with Trump (60%). To be sure, white evangelical support was significantly higher than Catholic. Evangelicals have distrusted major cultural institutions going back to frontier days and by now white evangelicals have had decades to build up resentment about losing control of the cultural steering wheel. It therefore isn’t surprising that the candidate who had the least experience with government and who talks nothing like the Ivy Leaguer he is would resonate especially well, as did the not-noticeably-evangelical Ronald Reagan and Sarah Palin, with socially alienated white American evangelicals—which is to say, most of them. In truth, only one kind of American used to enjoy cultural hegemony and for decades has instead felt marginalized and mocked by the cultural centers of New York and Washington, Harvard and Yale, Hollywood and—well, not Nashville, but that’s the understandable exception to the rule. That kind is white American evangelicals. And that’s the kind who most strongly supported Donald Trump. Pertinently, Canadian evangelicals have demonstrated little support for Trump or for any of his would-be epigones up here. Nor have Aussie, Kiwi, or British evangelicals. So the scorn of non-evangelicals and the breast-beating of evangelicals about “What does this horror imply about the very nature of evangelicalism?” seem to be off-target. Instead, Barr and Lynerd are right to examine the nexus of “America,” “white,” and “evangelical” to explain Trump support. I think they would agree that the main explanatory factors have only a little to do with evangelicalism as a particular form of Christianity and much more to do with white American evangelicals’ up-and-down relationship with American cultural power. 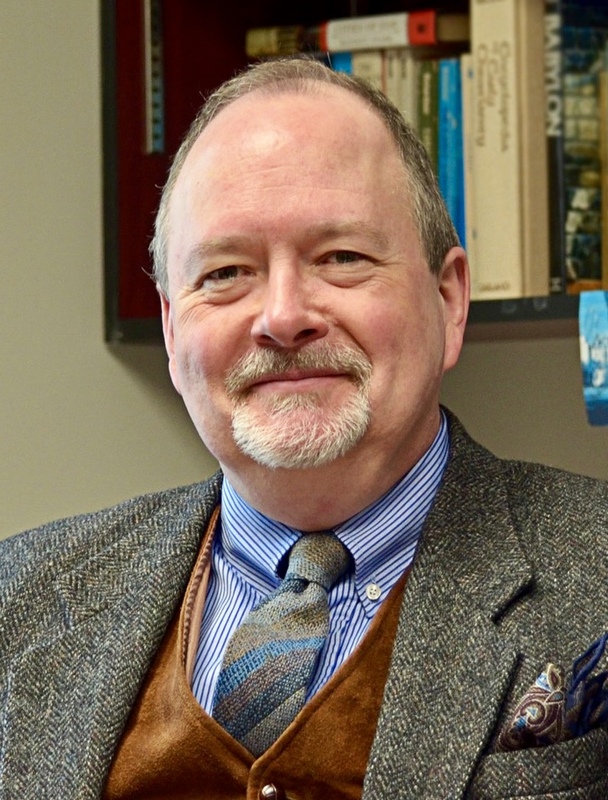 John G. Stackhouse, Jr., is the Samuel J. Mikolaski Professor of Religious Studies at Crandall University in Moncton, Canada. His first book was Canadian Evangelicalism in the Twentieth Century: An Introduction to Its Character (University of Toronto, 1993). He has since written extensively on the nature of evangelicalism in North America and beyond. His latest book is Why You’re Here: Ethics for the Real World (Oxford, 2018). This is a thoughtful and respectful analysis of the American scene. Remember that the first sermon preached when the Pilgrims arrived on the American shore described the new land as the New Jerusalem. Evangelicalism in the United States has in some form or another held to this script from D.L. Moody to Charles E. Fuller to Billy Graham. The “Fundamentals” at the turn of the last century gave a name to that movement and confirmed the belief for a whole century. From a Canadian point of view (at least this observer’s) that view has gone to seed and the Trump era has demonstrated the move away from the Gospel into a political movement. There is need for a recovery of the Gospel of Jesus: a purified message of love. I am trying to track down a specific quotation– any reference to a question I remember being posed during Trump’s candidacy, but of which I cannot recall the specifics. Does anyone remember an occasion upon which Trump was asked about evangelical support for him to which he answered that he offered them power? The reason it stuck in my mind was that the phrasing was remarkably reminiscent of the Bible story of temptation of Christ– he literally offered worldly power in exchange for their following him, and confidently expected there to be no question whatsoever about their being eager to accept his deal, power for fealty. I’ve been unable to track down any mention of that particular bit of public discourse from mid-election. Does the description ring any bells in anyone else’s memory?